I have a problem with reshade. So when i delete DXGI.dll, the reshade won't uninstall. the loading effect is still there. The loading effect is stuck (19 effects loading). So i can't play X-plane 11 anymore because of reshade! I need serious help. i do not want to uninstall my game, i have downloaded a ton of mods and plugins! Last Edit: 5 months 1 week ago by BowlingMaster. 1. You're sure the game is not DirectX 9? In that case you might have installed for both APIs, and the d3d9.dll being still there, ReShade would still load. Just to rule that one out. 2. Or, alternatively, you installed ReShade in more than one place and the folder where you deleted dxgi.dll from is not the folder where dxgi.dll is picked up - with some games it's not the same as the exe file. 3. In any case, you can also delete the "reshade-shaders" (or what was it called) folder with the effects so at least you won't get stuck. 2. I have used reshade in the game for a month. The effect loading problem just suddenly... pop up. 3. I tried deleting it, but then it just happens to still get stuck. But without the effects loading, it just said Reshade by crosire. Last Edit: 5 months 2 days ago by BowlingMaster. Last Edit: 5 months 1 day ago by BowlingMaster. I have no ideas to why it happened. 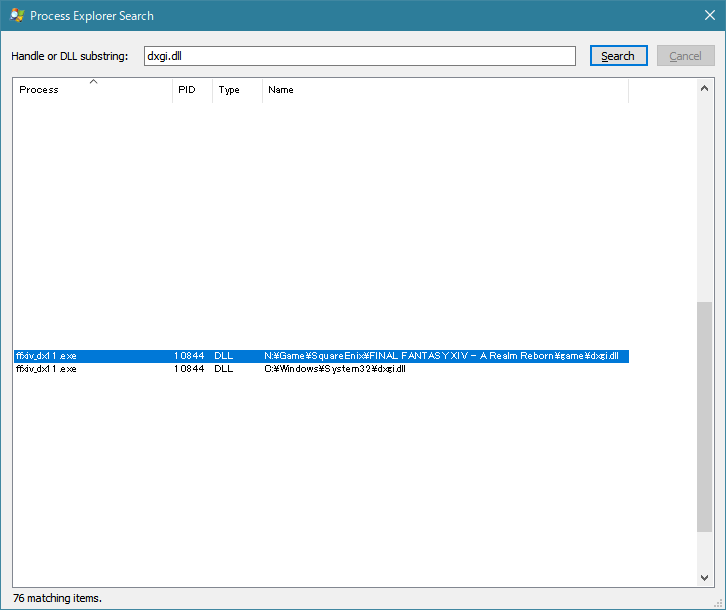 You can find the DLL by using the sysinternals tools. Last Edit: 4 weeks 1 day ago by seri14.